Citing lack of motivation in the classroom, Rodriguez had his doubts when Kinard signed with Michigan in February. According to Jeff Whittaker, Kinard's HS coach, he plans to attend 1 of 2 prep schools, or a junior college in Kansas. But Whittaker thinks "T.K." will hopefully enroll at M in 2011. “T.K. 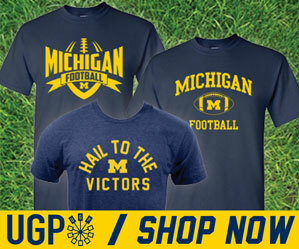 loves the University of Michigan," Whittaker said. 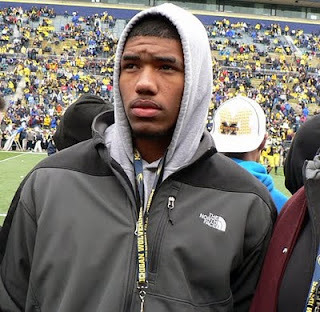 "The only goal in his life right now is to get through this and play at the University of Michigan. He’s had other Division I programs, which I’m not going to name, call him and want him to look at their universities. Big-time programs. They wanted to set him up with different schools and what not. His focus has not deviated one bit from the University of Michigan. He truly loves Coach Rodriguez and the University of Michigan." The still-changing 2010 recruiting board lives here. In other former 2010 class news, Demar Dorsey is set to enroll at Louisville in the fall [Link]. Before committing to Michigan, Dorsey was committed to Florida. No word as to whether Florida was interested in Dorsey after he was released from M.
Without Kinard and Dorsey, the 2010 class is most certainly not worth the top-10 ranking it got back on signing day. For more on Dorsey, about how amazing he is I guess...check out this YouTube video. An odd story really. On one hand, he's a total game breaker. But on the other, he's a reformed juvenile delinquent...maybe. Clearly, Dave Brandon saw something there that just wasn't worth the risk. Maybe he'll be worth it in a year or two.